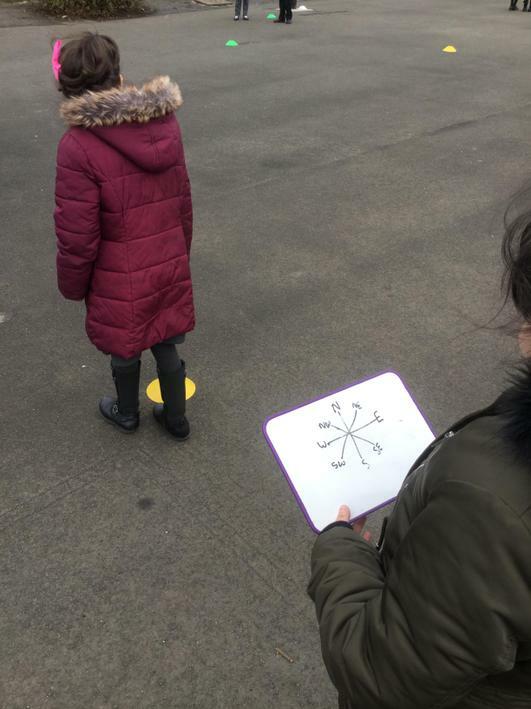 Following on from last week, maths this week was a practical lesson using our compass points. 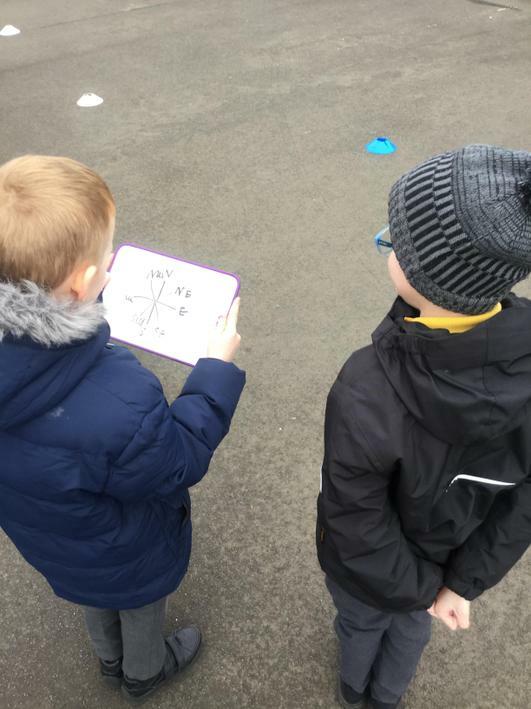 The children were put into pairs and had to draw the compass points on a white board, one child had to give directions to the other for example take two steps north, they then they swapped over. 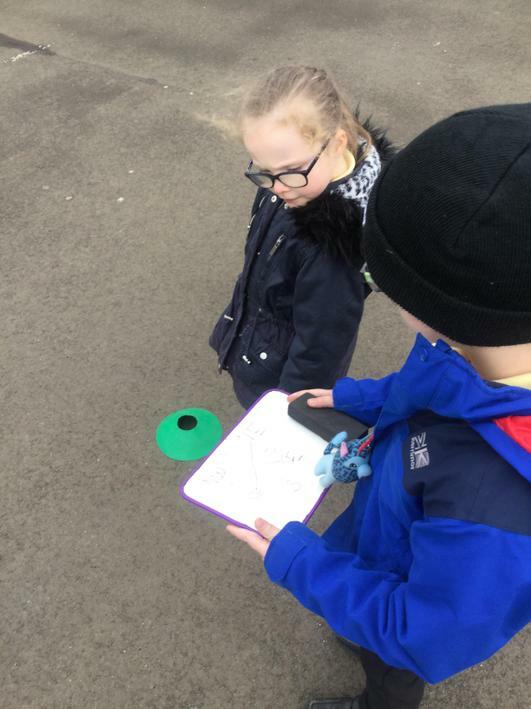 The children loved this activity and used their new found skills really well! 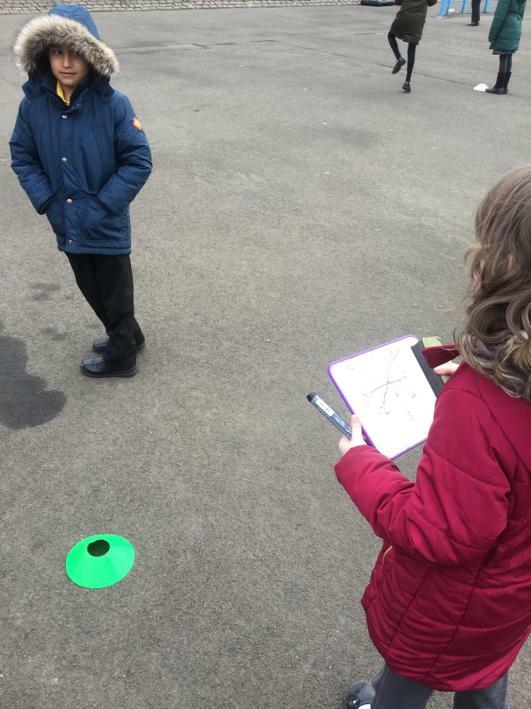 This week in Maths the children have been using their compass skills. 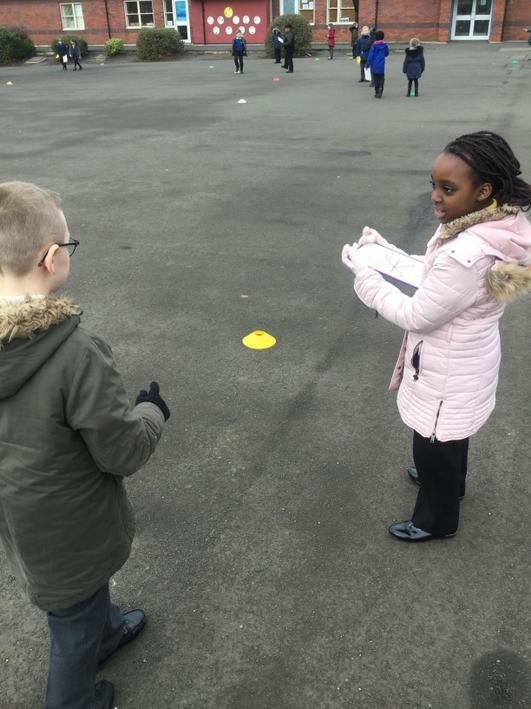 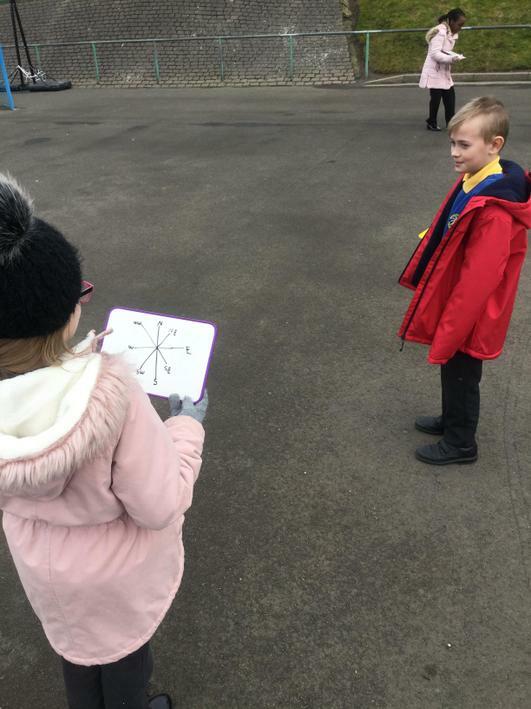 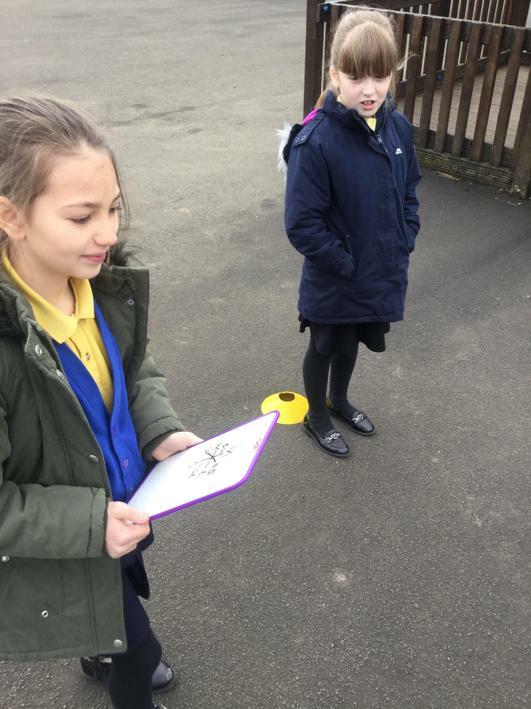 At the beginning of the week the children began by identifying the different points on a compass to then locate a different point depending on the turn. 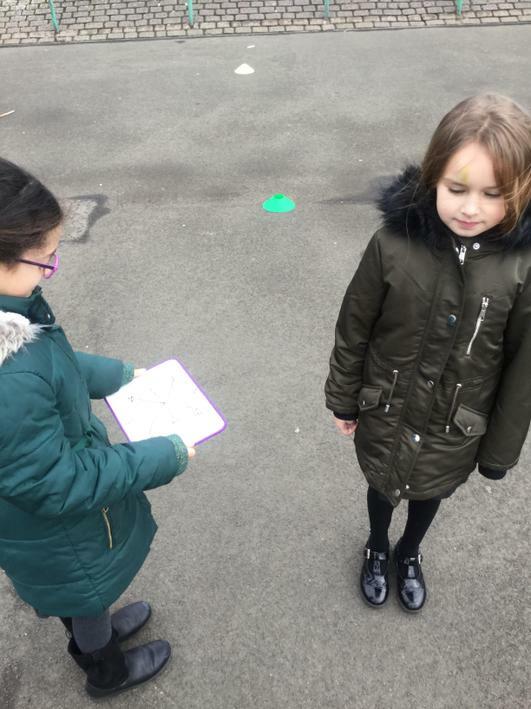 Following on from this the children used their new skills to follow compass directions. 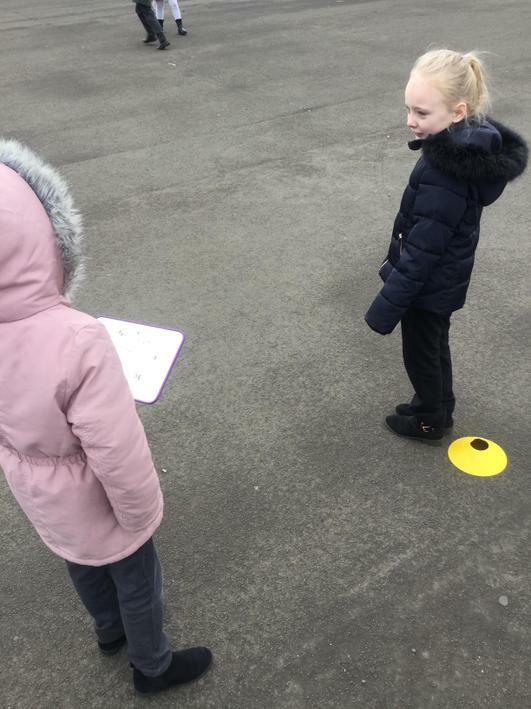 They were given a square grid where they had to follow a set of directions. 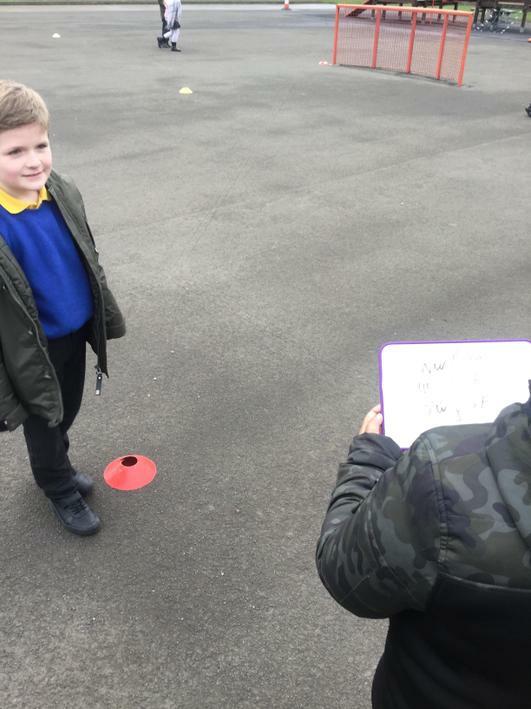 Some children found this difficult at first but kept trying hard! 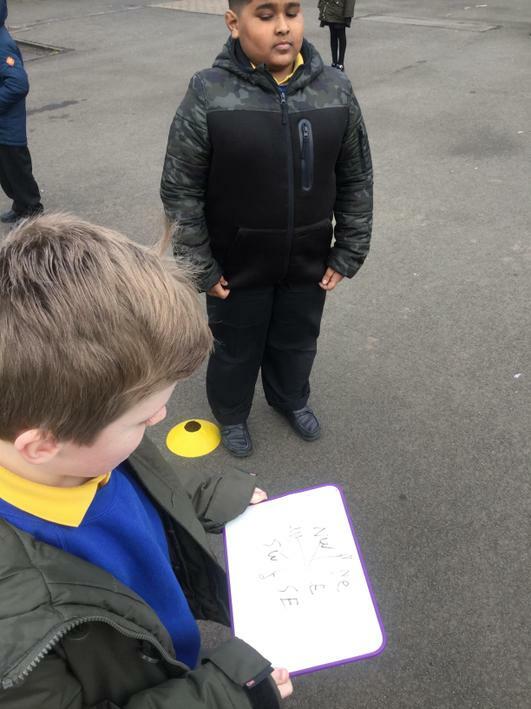 Have a look at some of our work this week!